Speed Injected: When the smoke clears, you'll be the last rider standing. The KTM 250 XC-W TPI is one of the best pound-for-pound fighters in the world of Enduro, pummeling its more complex 4-stroke rivals. All muscle, no fat: this groundbreaking, fuel-injected 2-stroke machine is as lean as it is powerful. The KTM 250cc engine is known to be the most powerful and most competitive 2-stroke engine of the class. And things get even better. The KTM 250 XC-W TPI is fitted with a transfer port injection fuel injection system, a unique feature when it comes to sporty 2-stroke race bikes. The patented EFI system with two injectors mounted on the transfer ports of the cylinder makes the engine much smoother to ride and reduces the fuel consumption drastically, a global game changer in terms of technology. 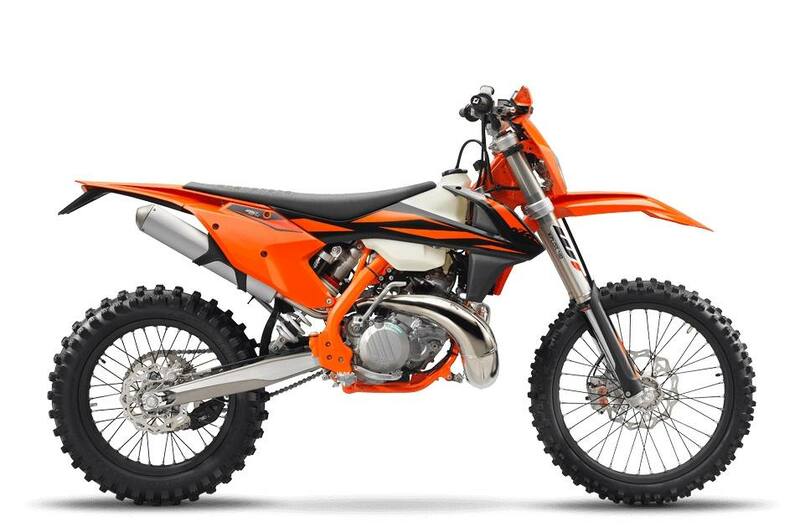 On top of that, the KTM 250cc powerhouse features a modern shaft arrangement that's beneficial in terms of mass centralization, a well-protected E-starter, a balancer shaft for low engine vibrations, a 6-speed Enduro transmission and a hydraulically operated DDS clutch. This is a song of belly tingling 2-stroke symphony when keeping it pinned on the pipe, while still being able to deliver ultra-smooth and reliable drive when you need it. 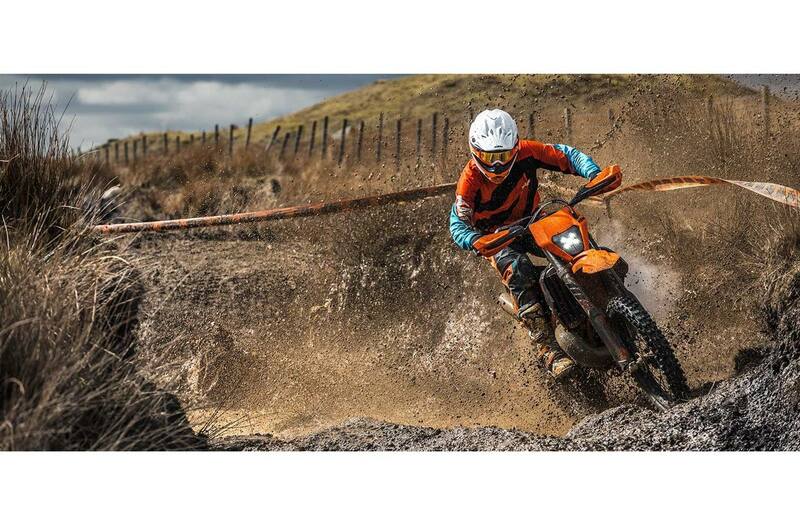 Cylinder: The KTM 250 XC-W TPI cylinder has a bore of 66.4mm and is fitted with the sophisticated power valve providing smooth and controllable power characteristics. For the EFI application the cylinder features two lateral domes, which hold the fuel injectors supplying fuel into the rear transfer ports. Thus the loss of unburnt fuel is reduced for fewer emissions, a more efficient combustion and low fuel consumption. A tube in the back of the cylinder is connected with an intake pressure sensor, which supplies pressure data to the control unit. Front suspension: The WP XPlor 48 upside-down fork is a split fork developed by WP in close collaboration with KTM. It is fitted with a spring on both sides, but features separated functions for each fork leg: compression damping is fitted on the left side, while rebound is on the right. So the fork can easily be adjusted for compression and rebound with the twist of a dial on top of the fork tubes (30 clicks each). In addition, a sealed hydro-stop guarantees better resistance to bottoming-out. Due to high-quality materials and a state-of-the-art production process, the WP XPlor 48 fork - with approx. 300mm of travel - has outstanding response and damping characteristics. An optional preload adjuster allows for a threefold spring preload setting without any tools. Easy as one, two, three.